There’s no question about it, Artificial Intelligence is booming, the market is expected to grow 20 fold in the next 10 years. 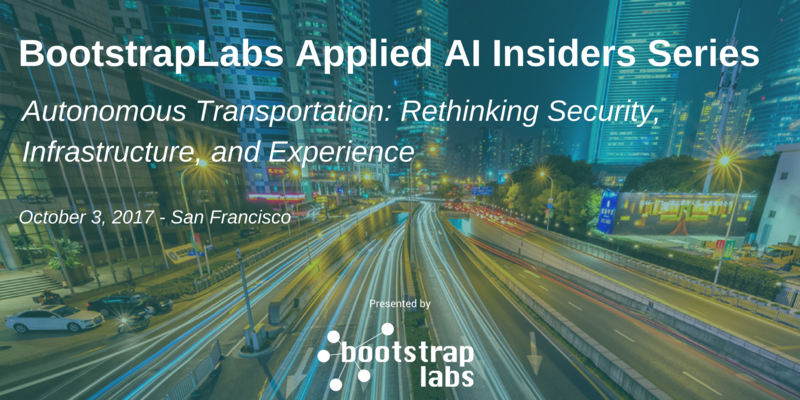 What are some of the challenges companies face when building true enterprise grade AI systems? How will companies adopt this new wave of AI technologies? That’s what the experts and attendees we assembled on November 30th for the Applied AI Workshop discussed. 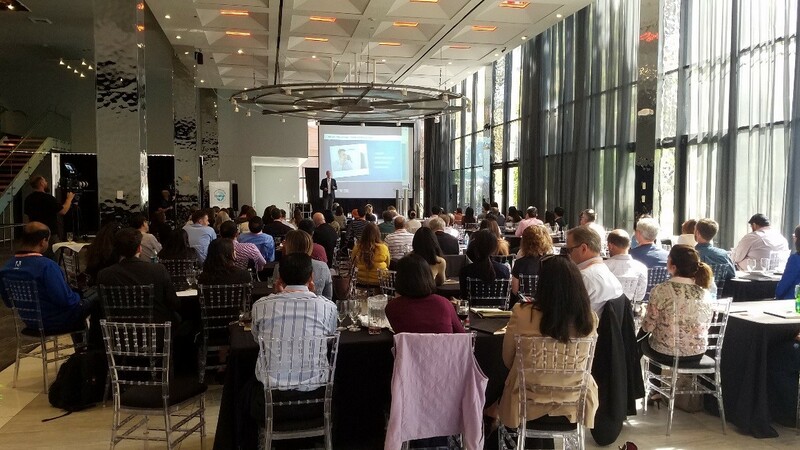 Attendees included executives and C-level from Softbank, Forever 21, AT&T, World Bank Group, Capital One, Samsung, Booz Allen Hamilton, Syniverse and more. A special thanks for supporting the Artificial Intelligence community to the host of the workshop Wilson Sonsini Goodrich & Rosati. Thomas advises organizations on trends and implications of emerging technologies. As the first National Intelligence Officer for Technology, he served as the focal point for all activities related to emerging and disruptive civil technologies. Jane has over 30 years of experience in high performance computing, data analytics and geospatial mapping. She’s been responsible for directing industry research groups including: HERE (a leader in the geospatial mapping), Imara (a lithium ion battery company, and OnStar at General Motors (the first at-scale telematics solution). Alex studied AI throughout his academic career at Cornell University and during his Ph.D at Caltech. He founded Vidora with Abhik Majumdar and Philip West in 2012, to put AI in the hands of everyone from marketers to data scientists to execs, providing them a simple platform to ask questions and use answers to automate and optimize their business. One of the biggest challenges mentioned throughout the night was talent: attracting, retaining and growing the pipeline. The competition is fierce and startups and big companies alike have a hard time competing with the giants like Amazon, Facebook and Google. It’s interesting to see that because of the talent gap, companies are heavily investing in code that can create code as Thomas Campbell mentioned and “when we get to that point when code creating the code is better than humans creating the code, that might start lifting AI to the next level”. A big hurdle that Thomas Campbell sees in the near future is cybersecurity, a “tsunami of cybersecurity issues” to be exact. Because cyberbots as opposed to humans will be “faster, more efficient, never resting, omnipresent” and they will be used both for offense and defense, so as he puts it: the future will be AI vs. AI. She’s worked in the space for several years and the data used to feed the machine learning algorithms always comes with some bad nuggets you have to parse out. Because of the difficulty associated with weeding out bad data, Jane says autonomous transportation won’t happen in her lifetime, “I’m the Debbie Downer of autonomous transportation”. Alex Holub from Vidora presented another set of challenges that companies scaling up AI projects run into, how do you figure out which methods/techniques to use? With so many options, figuring out the best way to clean the data, which feature engineering and model to leverage is very challenging for teams with limited resources. That’s exactly what Vidora is solving with their product Cortex. Cortex learns based on the raw data, which feature cleaning, feature engineering and model technique to use. You can think of it as putting probabilities on which is going to be more successful by looking at the raw data set, based on what has worked in past projects with similar input. The Artificial Intelligence industry is moving faster than ever before, but there are still big challenges such as: talent, cybersecurity and data veracity that we need to overcome to truly push the industry forward. 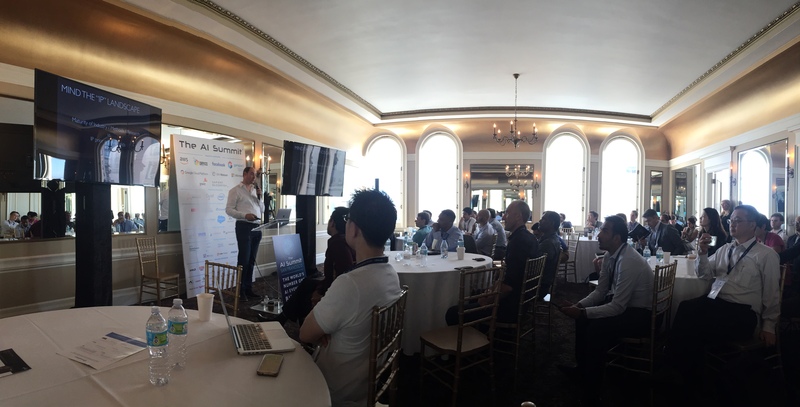 San Francisco, September 28, 2017 – BootstrapLabs Co-Founder, Benjamin Levy, led a keynote session at the AI Summit last week in San Francisco, exploring AI’s latest implications for the business world and our society as a whole. 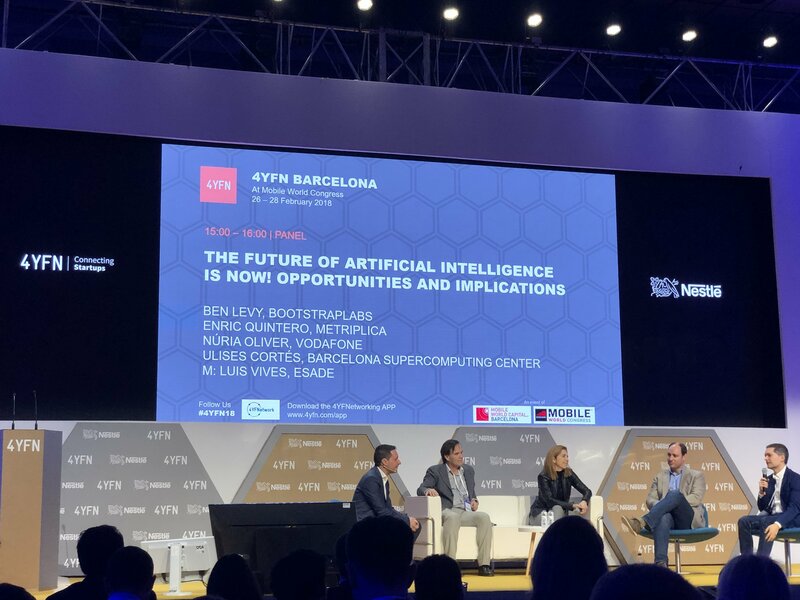 Ben discussed the rapid evolution of AI technology and its impending impact on a wide range of business sectors, including finance, healthcare, education, agriculture, and more. 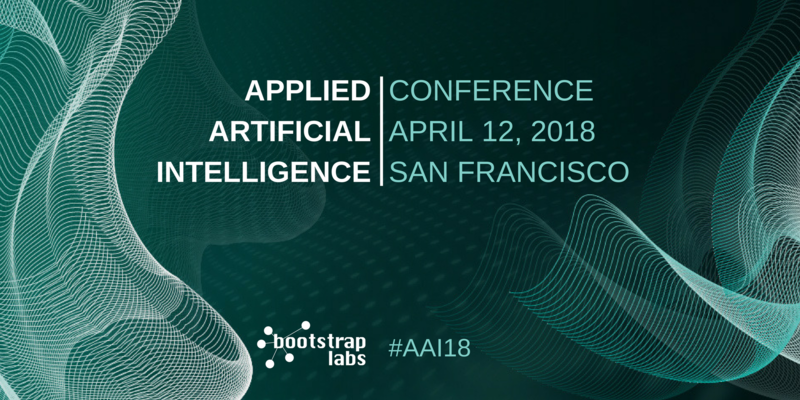 His presentation highlighted the most current investment trends, data projections, and other industry guideposts to help light the way forward for those hoping to make the most of AI’s transformative power. 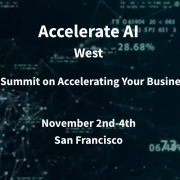 The AI Summit brings together 2,000+ of the most senior business CxOs, AI visionaries, AI start-up innovators, press/media, and acclaimed researchers in the world. 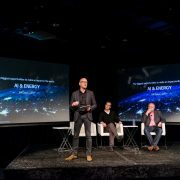 Ben spoke alongside executives from companies such as Google, Microsoft, Unity, Mercedes-Benz, IBM Watson, Netflix, Amazon Web Services, Facebook, Nvidia, and many other leaders in the space. 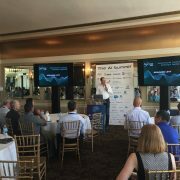 San Jose, CA, September 21, 2017 – BootstrapLabs co-founder Ben Levy was one of five featured keynote speakers at the Lionbridge Global Innovation Symposium in September. 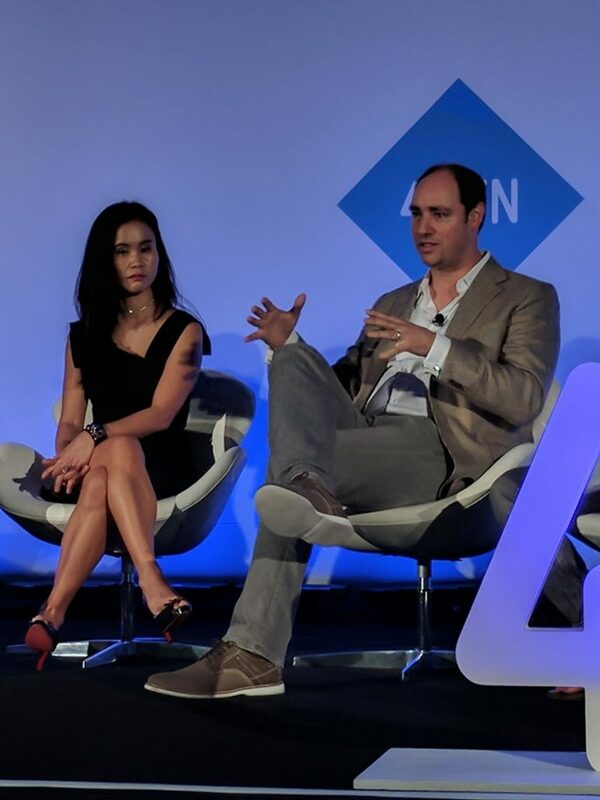 Ben’s presentation was part of a series at the event focusing on “The Impact of AI on Global Customer Experience.” Ben spoke alongside speakers including Falon Fetami, CEO of Node, Peter Isaacson, CMO of Demandbase, and Katell Jantreau, Globalization Manager at Netflix. 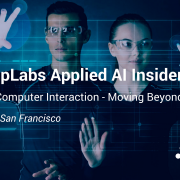 The Symposium focused on connecting more effectively with customers using AI and deep learning, from product development to delivering personalized content and streamlining marketing reporting. You can find more information about the event here. It is no secret that artificial intelligence (AI) is poised to take the world by storm. But what exactly does that mean if you are a business leader? It means you need a strategy, and you need to act fast. Just ask Mark Fields, the former CEO of Ford who was replaced back in May by Jim Hackett, head of their future focused Ford Smart Mobility division. 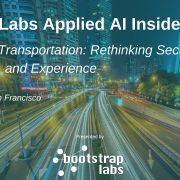 Though it will take time for any company’s internal AI capability to grow, the time to get started is now – and waiting might end up costing you at lot more. Beyond the dwindling profits motive for Ford, we are talking about entire industries and their supply chains being transformed at unprecedented speed. Amazon’s recent acquisition of Whole Foods suggests that even successful, profitable companies, in what most would consider a non-tech sector, are not immune to changing times and technology disruption. We have already seen early AI adopters like Facebook, Google, Uber, Microsoft and IBM establish new standards for data analysis and customer experience, and those standards will continue to sharpen as more companies take advantage of this technology. With $1.7 billion invested in AI startups in Q1 2017 alone, and the exponential efficiencies created by this sort of technology, this evolution will happen quicker than many business leaders are prepared for. You can acquire, or invest in, an innovative technology company applying AI/ML in your market, and gain access to new product and AI/ML talent. 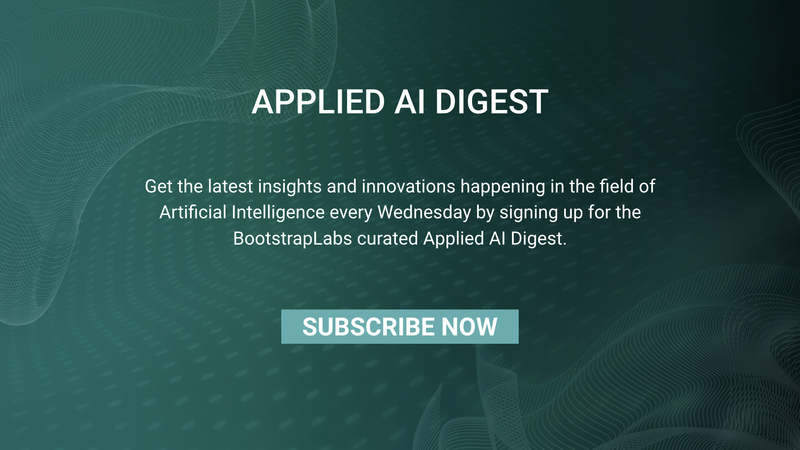 You can seek to invest as a limited partner in a few early stage AI focused VC firms like BootstrapLabs, gaining immediate access and exposure to vetted early stage innovation, a community of experts and market trends. 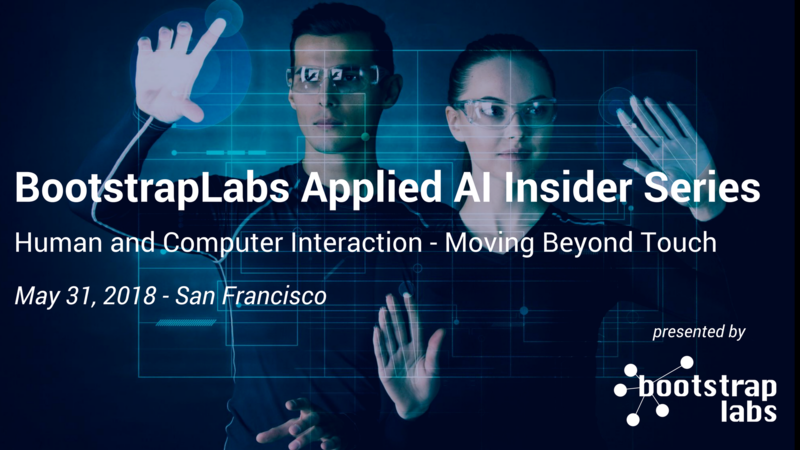 You can set out to build an AI-focused division to optimize your internal processes using AI, and map out how AI can be integrated into your future products. But recruiting in the space is painful and you will need a strong vision and sense of purpose to attract and retain the best. You can use outside development-for-hire shops like new entrant Element.ai, who raised over $100M last June, or more traditional consulting firms like Accenture, Capgemini, and others to fill the gaps or get the ball rolling. What’s more, these options are by no means mutually exclusive. On the contrary, as an executive leader in the digital era, you need to adopt a lean and iterative philosophy around execution: build/partner/buy, measure, learn, and double down on what’s working for your company. The best companies in the world are already doing this, and many more are preparing to do so soon. Are you? 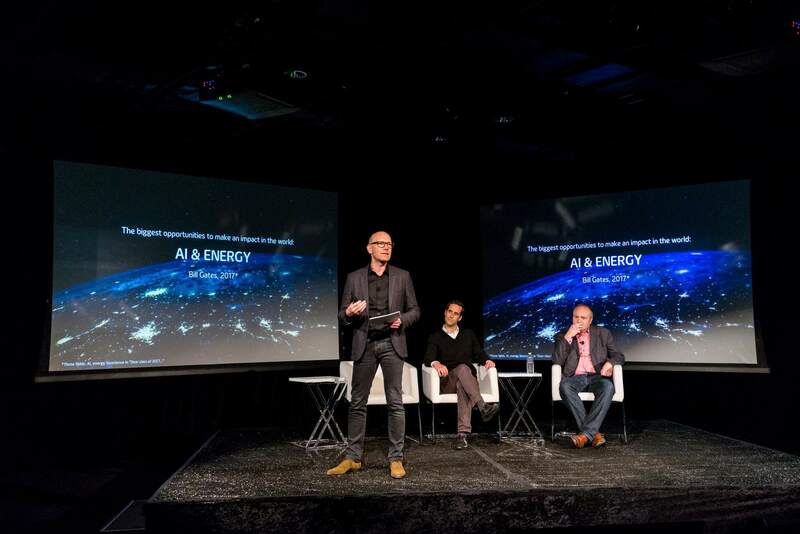 Since our second annual Applied AI Conference back in May, which gathered over 700 senior executives, we have been amazed at the level of enthusiasm surrounding the AI advancements and possibilities taking shape across all industries. What was once but a body of research has given way to massive investment, adoption, and before long we will see large-scale market adaptation taking place well beyond the current use cases. The technology is there, ready for action, and an amazing community has formed around it, across many important industries. 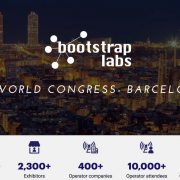 Over the last several years, BootstrapLabs has lead the way in connecting this community. From the technologists and evangelists to the entrepreneurs and investors, we are much more knowledgeable and capable together than any one of us could be alone. The same principle applies to your business. The talent war around AI is already raging, and as you build your strategy, you need a plan for attracting and retaining top personnel. This means that you have to do more than just “lip service” or “innovation theater” and execute in all aspect of your business to make AI part of your brand and core infrastructure. Your stakeholders will first ask for it, then quickly demand it. 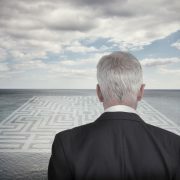 Okay, you’re sold on creating and executing your AI strategy – but how do you prepare for the unknown? Not only must you focus on adapting for the near-term impact that AI will have on your market, but you must build out capabilities which will set you up for long-term success. This is where your leadership is so important. Create and mobilize an ecosystem of human capital, venture capital, and technology that will help your organization sail through the seas of change. Empower your domain experts with a robust and agile business strategy, and the innovation will happen more organically. The puzzle pieces are all there, it’s just up to you to start putting them together. You have much to gain. As Akli Adjaoute, President and CEO of AI company Brighterion suggests, we are talking about “10x ROI for enterprise: you could solve problems within a minute using this technology, instead of weeks.” This opens up space to solve bigger and better problems, increasing employee engagement and productivity and reducing the risk of inefficiencies eating away at your margins. Don’t wait to be in Mark Fields’ position. Be remembered as the visionary leader that managed to plan, take action, and come out ahead of this challenging innovation curve. Just reflect back on the move that Mark Zuckerberg made with Instagram in 2012. He chose to spend $1 billion (10% of Facebook’s valuation at the time) to buy a revenue-less, two year old mobile photo sharing company – and invested several million dollars since to keep supporting its growth. He knew that mobile was transforming everything, and Facebook had to stay relevant. Seeing how far we’ve come since this move, you would take that bet any day of the week. Now let me ask you: How much of your market cap are you investing in your AI transformation today? If the answer is not enough, not fast enough, then refer back to the above section on game plan and reach out to the community! Don’t be mistaken, though – you can’t do it overnight. 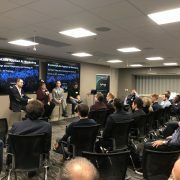 Developing your AI capability will take some serious effort, commitment, and consultation from multiple invested parties in the space before it can really take flight. Never forget that innovation and entrepreneurship is a team sport, so ask yourself, who is on my team? Ben is the Co-Founder of BootstrapLabs, a leading venture capital firm, based in Silicon Valley and focused on Applied Artificial Intelligence. Some of BootstrapLabs’ portfolio companies include Prezi, AngelList, Zerply, Trusted Insight, AEye, Qurious.io, Roger.ai, Vidora, and Sibly. Born in France and living in Silicon Valley for the past 18 years, Ben is a repeat entrepreneur who launched, built, and exited two startups in the financial technology space. Read more. 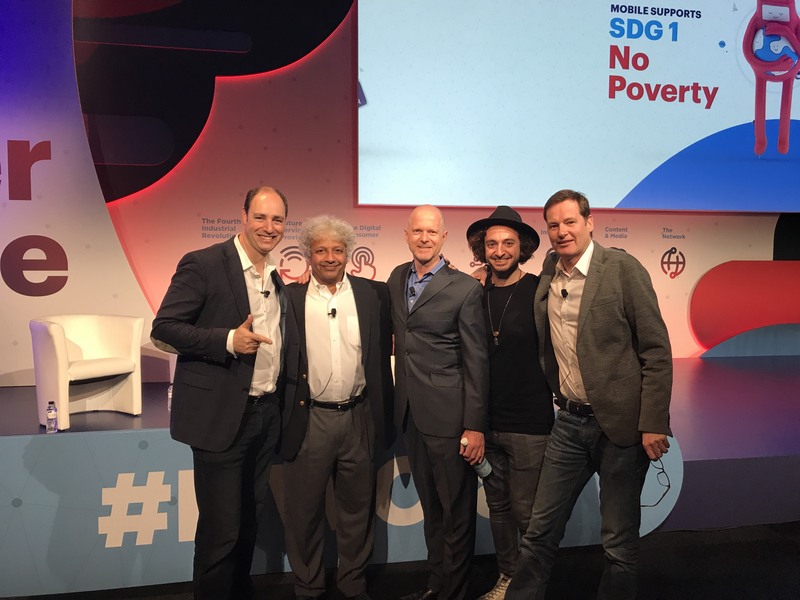 San Francisco, CA, September 13, 2017 – BootstrapLabs co-founder Ben Levy participated in the GSMA Mobile World Congress Americas in San Francisco this past September, speaking on the Adventures in Applied AI: Practical Use Cases Panel, as well judging AI and IoT startup ideas in the 4YFN Americas Awards pitch competition. 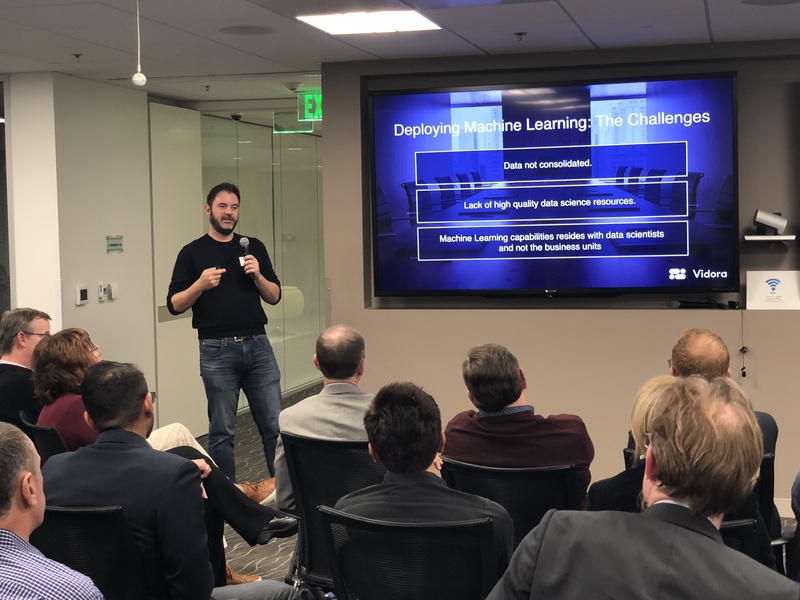 Ben shared his expertise in Applied AI investment use cases, relevant across a range of industries, and global entrepreneurship and innovation strategies. 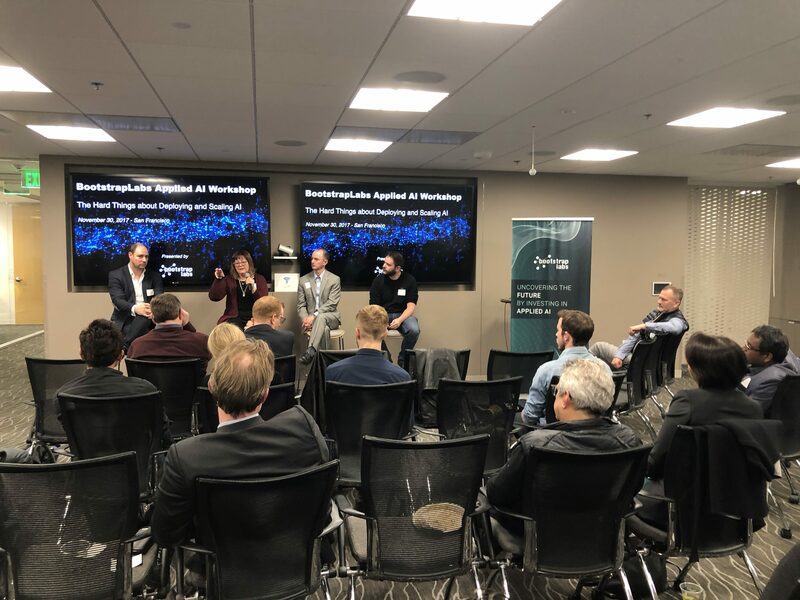 He spoke on the panel alongside Kinuko Masaki, CEO & Founder of SmartEar (a BootstrapLabs portfolio company); Mark Sherman, Managing Director of Telstra Ventures, and Liesl Yearsley, a private researcher. The panel was moderated by TechEmergence CEO Dan Faggella. 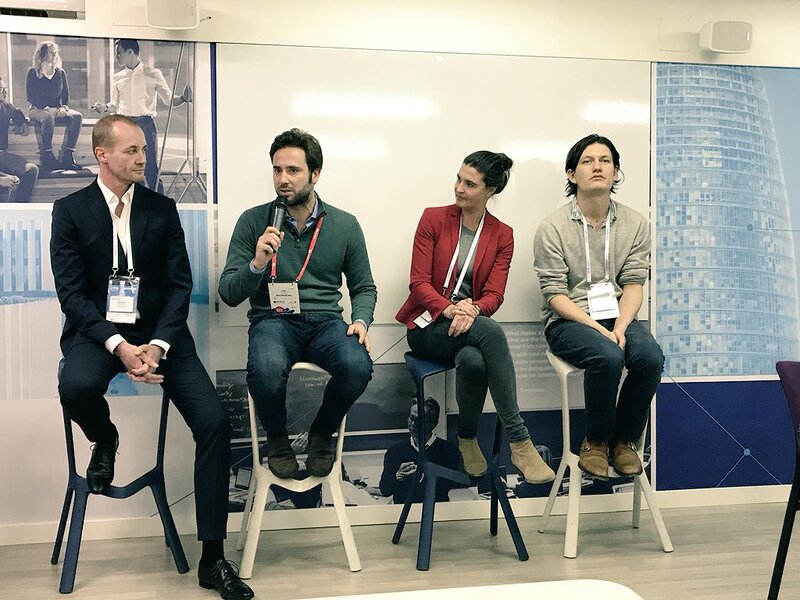 The 4YFN Americas Awards jury was made up of other mobile entrepreneurship leaders from GE Digital, XSeed Capital, Verizon Ventures, and more. 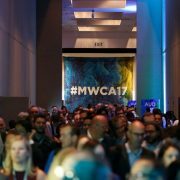 The Mobile World Congress Americas focuses on the latest advancements in mobile technology products and business best practices. Participants in the event represented a wide range of disciplines and organizations across the Americas and the world, including executives from the largest and most influential mobile operators, software companies, device makers, equipment providers and internet companies, as well as government delegations.